Google has recently launched its latest addition to the Nexus family in partnership with LG and Huawei. Unlike the previous year google has launched two phones instead of one, focusing on consumer satisfaction with different display sizes. As reported in Times of India, Google Huawei Nexus 6P and LG Nexus 5X will be available in India from October 13 in both online and offline markets. The report also shared the expected price of the new devices with LG Nexus 5X being priced at INR 31,900 and the Huawei Nexus having a price tag of INR 39,990. Google will bring out both the Nexus devices with USB Type-C Connector, fingerprint sensors, large micron camera sensor and the latest Android OS (Android M). The LG Nexus 5X is a compact and even more budget friendly phone. It’s definitely a worthy phone than the previous Nexus 5. Google has managed to live up to the users’ expectations with smaller overall dimensions, improved aesthetics, updated specs, enhanced performance and soft touch. More than anything else, Nexus users will get a light weight phone with a plastic body and a great new user interface provided by latest Android OS – Android M ‘Marshmallow’. It carries the same camera configuration, USB Type-C (for fast charging) and fingerprint sensor as the Huawei Nexus 6P. A slightly redesigned, cleaner and better looking Nexus 5 comes in three different colors – Carbon, Ice and Quartz. This should definitely spice things up by giving a fresh visual appeal to the device. Note: This device is suggested for users seeking a mid-ranged average display size phone running the latest android OS. The Nexus 6P is definitely a worthy successor to the Nexus 6. The device has a completely new and revamped design with a full metal body casing that gives a rigid and solid look. It has a premium feel to it. The Nexus 6P is unexpectedly a very light weight phone, even though it has a metal body, and weighs just 178g. The soft touch finish on the metal body with lack of curves makes it easy to hold. The side bezels also stay thin, giving it a good grip and it feels much more compact than the previous Nexus 6. The new Nexus 6 comes with high-end specs, and a big and bright 5.7 inch Quad HD AMOLED display manufactured by Samsung on the front along with dual front facing speakers. Plus the simple user interface powered by the latest Android M ‘Marshmallow’ will give users greater freedom to multitask effectively, manage battery life and enjoy seamless transitions between screens. Note: This device will be preferred by users who like a large HD display with great design and powerful performance. Apple has announced the latest iPhone 6S and iPhone 6S plus to be launched in India on October 16 just three days after the Nexus launch, but if prices are considered, iPhone and Nexus belongs to different categories and target different consumer segments. This means the new Nexus phones will not have to face direct competition from Apple, but the presence of the new iPhones in the market will definitely have an impact on the market performance of the Nexus devices. Only time can tell whether the new entrants in the Nexus family are good enough. The previous Nexus 6 did not garner the expected response due to its large size and low feature value in keeping with the price tag. Lets hope that Google’s support allows Huawei and LG to shine again and regain their market share in the months to come. 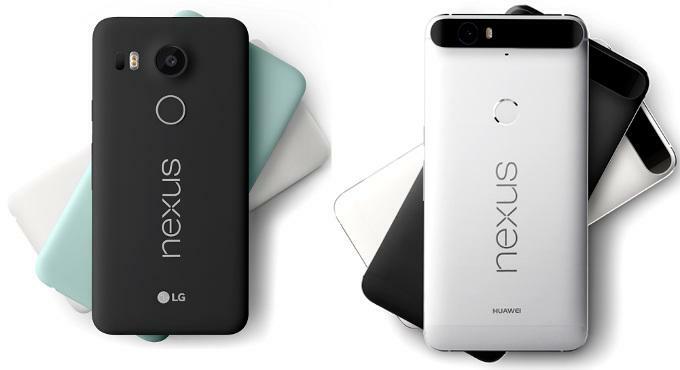 Will you be buying the Huawei Nexus 6P or the Google LG Nexus 5X? Tell us why or why not by sharing your views in the comments section below.